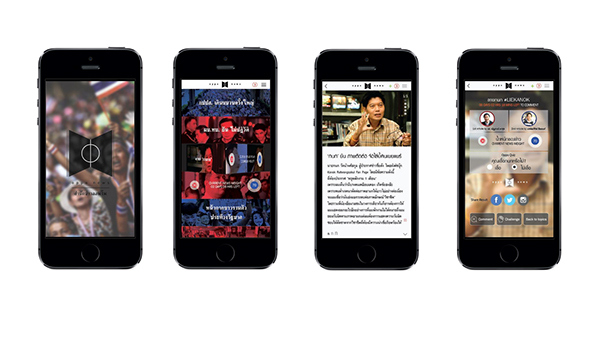 Oppo News user experience is designed to form a new behavior of news consumption in Thailand (and other places.) Amidst political conflicted and information overloaded societies, more and more people choose to consume the news often from only one side. 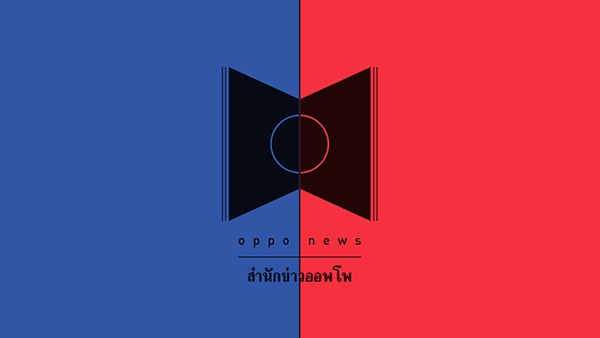 Oppo News is designed to help people consume the news with more balance by asking the user to read two sides of the news before judging. Oppo News doesn’t aim to change anyone’s opinion or worldview. It simply wants to help people consume information with more empathy and understanding. And hopefully this will move the conflict to the better stage. After choosing the headline, the user will be asked to swipe to randomly choose the first article to read, following by another article under the same topic by a different author. The user will not know the authors’ names until they finish both articles. 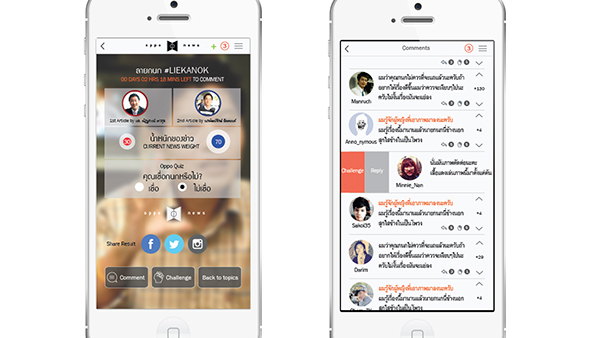 The challenge function is designed to help form more constructive and intellectual opinion exchange among users. 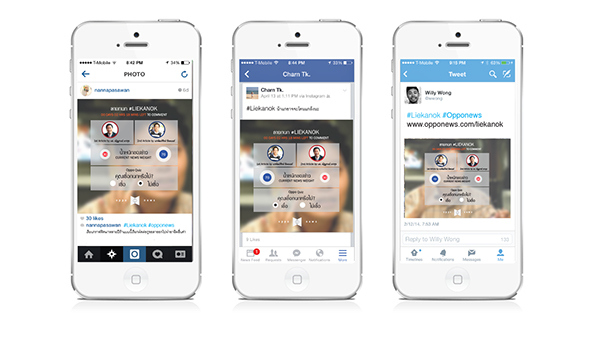 Moreover, users are able to share the news opinion results to express and keep track of majority's opinion.